Women especially, quickly grasp and begin utilizing the massive Chi energy enhancing powers CoreForce Energy gives them. When their innate intuitive and emotional connection to their energy and instinctive organic connection to their bodies are combined with the revolutionary super strength training techniques of CoreForce Energy, they’re able to dramatically improve their strength, speed, and energy. This amazing synergy brings forth a panther-like presence oozing with raw power, sleekness, and agility. Many women say the training makes them feel like a legendary warrior queen, not just because of the intense acceleration in their strength, power, and self-confidence, but also for it’s ability to keenly enhance their energy and full feminine presence. If you are a woman committed to accelerating your strength and speed as fast as you can, then CoreForce Energy is your answer. Like many others have already done, you can begin finally matching men in power, speed, and endurance in many areas of exercise, sports, and even business. "CoreForce Energy gives you extraordinary tools to bond with your energy and power to create the necessary synergy that gives you access to that other 95% of potential that scientists say we never use. Without a doubt, it is an extraordinary mind body connection and this is why it works so fast." Think about it ladies, if scientists say that we are using only 5% of our full abilities, then how are you going to tap into that other 95%? Hint: it’s not by doing the same exercises in the same way that men do or think. Women have extraordinary ability to tap into power and intensely motivating emotions and that’s a huge advantage they have right from the beginning over men. Unfortunately so many have learned to suppress and ignore their emotions thinking that it simply means instability. The truth is that learning to unlock the true powers of your emotions linked with your body and mind, you’re able to tap into vast reserves and driving forces that remain hidden forever for most people. In a sense, CoreForce Energy can enable you to quickly tap into adrenaline surges that you might have heard about when a mother will lift a car to save their child. As in this example, intense emotions have ignited a firestorm of power when directed with focus. Wouldn’t it be awesome to be able to turn on that kind of awesome raw power whenever and if you ever needed it? If you’re a woman who has a commitment to realizing your full strength and speed to be a powerhouse of energy, CoreForce Energy will help you easily tap into those reserves. Women need these reserves to deal with all of the every day life things that men have no concept that you do, and you can utilize these reserves to be more and do more. Creating and understanding how to generate reserves of energy is perhaps one of the single most important tools the CoreForce Energy training can give to a woman. As I’ve said it’s women they can tap into this very quickly because of their innate and deep-seated emotional and intuitive connection to mind and body. Because my system is a universal mind body energy system, you can apply it to so many areas of your life and to almost ANY physical activity. Get more strength and power gains in one DAY than you could make in years of weightlifting, body weight exercises or martial arts. ​Learn the little known and closely guarded RPM (Revolutionary Power In Motion) technique that will help you gain super strength and speed VERY quickly. ​Gain Matrix-like balance just by understanding energy and exactly where and how to place it! This is essential for sports to dance to all kinds of exercise. 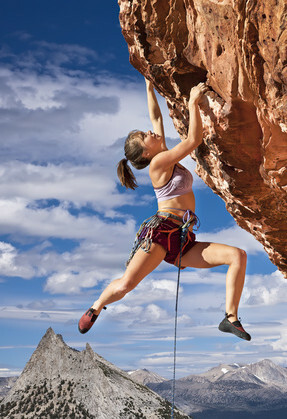 ​Catapult your endurance levels to new heights. ​Instantly improve your cardiovascular strength and stamina with a breathing technique I show you (I’m talking MASSIVE leaps in less than 5 minutes). What Do Women Use CoreForce Energy for? Dramatically improving their strength for bodyweight exercises and for lifting weights. For self-defense. Learn to use your entire body as a weapon and unleash a hurricane of power on a stunned attacker. For considerably boosting your sports performance in strength, speed, endurance, and reaction time and to even the playing field with many men. Significantly improve your dancing and turning abilities with greater balance and beauty. Remarkably enhance the strength and endurance of your yoga poses. Learning quicker to play musical instruments and become proficient in other arts with greater facility, dexterity, and a fluid effortless technique. ​Developing greater strength, stamina, and a deeper healing connection with deep tissue massages. Markedly amplify their energy to do more, to experience more, to become more. ​To command an audience with definitive presence with their voices and body language to captivate and enthrall. These Abilities Are Just The Tip of the Iceberg To Name A Few. You're wondering how CoreForce Energy can do all of these things, right?! Well, it’s simply because it's all about igniting your mind body connection to their highest degrees of human potential. When it’s applied to the creative arts as well, it excels like nothing else. I personally have used it for all of my career not only as a martial artist, strength training coach, but as an international award-winning pianist and performer. I personally use the concepts of CoreForce Energy every day as a performer to enhance my deep connection to my playing as well as give me an almost effortless virtuosic technique on the piano. The training also has given me a much greater connection to my audiences in my speaking and body language as well. I attribute my consistent standing ovations to these very concepts. I’m telling you this not to brag but to reveal many different applications of CoreForce Energy has. But, I must tell you also that things weren't always so easy. Way up until my late teens, I was a shy and awkward skinny kid that lacked strength, speed, and the ability to learn things quickly. Before I discovered the breakthrough concepts of CoreForce Energy, I did things like everyone else and met year after year with a lot failure and disappointment. After years of utter frustration, the concepts I teach in CoreForce Energy started slowly formulating and eventually were responsible for turning my entire life around. I started learning more, having more energy, gaining more strength and speed exponentially. I started applying CoreForce Energy to many things and have found there is virtually no physical action that it does not dramatically improve on many levels physically and mentally. Through some of the testimonials and words are spoken here, we’re hoping you can see now the many universal applications of CoreForce Energy can greatly improve the soft and gentle creative arts as well as all the brute strength and speed applications. When you understand that all life is about energy, how we access it, and how we project it, your body and brain are almost instantly ignited to do things that you never thought possible. It especially excites me when women are able to discover their full power so quickly on all these levels with the life-changing forces of CoreForce Energy. The innovative exercises and concepts of CoreForce Energy training with open you up to new possibilities in strength, energy, and creativity. So, isn't it time you begin opening the doors to exploring and unlocking your full human potential? that’s available and I’ve tried most of them​..."